Matt earned his Bachelor of Arts degree from Augustana College in Sioux Falls, South Dakota. He started working at Bedient in 2010 after completing a variety of art apprenticeships. 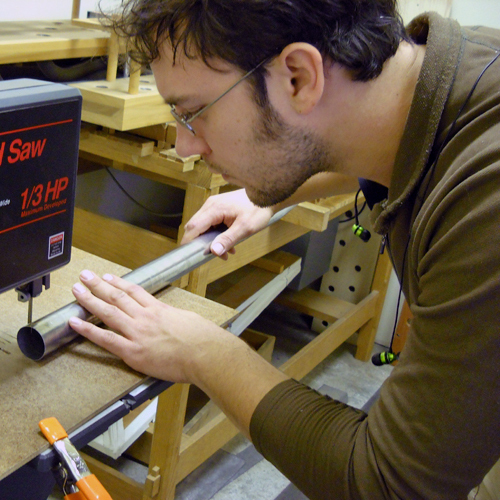 Matt is primarily trained as a chest builder and wood worker, but he also tunes and services instruments. Currently Matt is the Shop and Media Manager in the College of Architecture at the University of Nebraska – Lincoln. When Matt isn’t busy building and crafting he enjoys spending time with his wife and daughters.